It’s not rare for you to come across an online casino platform that combines the features of a live dealer platform with an online casino in a fashion that works. Most of the online casinos nowadays manage to pull it off but Bronze Casino has done it in an exceptional way. The platform has a well decorated online casino platform, which is complemented with a number of popular live casino games. It also has a juicy welcome bonus point, which is undoubtedly a good starting point. But how well does the rest of the online casino hold up? The Bronze Casino review below is about to give us some answers! A quick look at the terms and conditions will reveal that the software under the hood comes from GameScale, a reputable company that’s been operating since 2010. The company is responsible for providing a very reliable and seamless framework for the casino. Additionally, the company outsources the services of other reputable software developers. This ensures that players get only the best of the best games in the industry. One outstanding feature about the Bronze Casino is that unlike most of the other casinos owned by Alpha Interactive Solutions N.V., it features games from NetEnt making it possible for you to access some of the popular game titles online. If you’ve been searching for a site with a little bit of everything, then Bronze Casino is the site for you. You can, as you’d probably guessed by now, play video slot games alongside classic table games such as roulette and blackjack. A quick look at the game list will reveal that slots dominate the list. In total, there are more than 500 game titles to choose from, which means that there’s a variety to pick from. There are also 33 jackpot slot games to play. We also liked how Bronze Casino has managed to mix and match a variety of traditional table games such as Roulette, Blackjack and Baccarat with the more contemporary titles such as Keno, Video Poker and Scratchcard games. Meanwhile, there’s also a live dealer platform that will spice up things and give you a more authentic game experience. 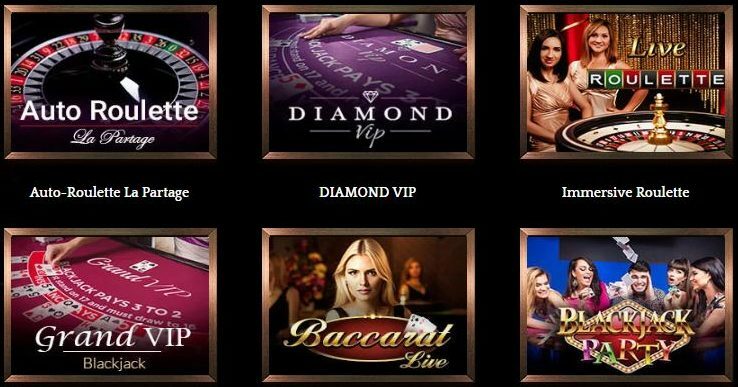 Live dealer or live casino games at Bronze Casino is powered by four different players including Evolution Gaming, Pragmatic Play, SA Live and Lucky Streak software companies. There are no bells and whistles to some of these company’s titles as they offer simple, straightforward and easy to play Las Vegas themed games. Any online casino that features 23 live casino games isn’t quite impressive by today’s standards. However, after playing these games and comparing to what you’ll find at some of the competing sites, you’ll realize that the mantra of Quality of Quantity is what Bronze Casino abides by. The few games available have been varied by including different versions of roulette, blackjack, baccarat and poker. Overall, the Bronze Casino platform is very easy and quick to load when compared to some of the other sites that we’ve reviewed recently, which is certainly perfect. Upon landing on the homepage, you’ll realize that the site itself is equally light on presentation. How you view this all depends on your preference as some players fancy a glitzier platform but the main advantage of this is that it loads fast and don’t eat up too much of your device’s resources. In addition to this, everything on the site is pretty easy to locate. The layout of the game’s page is well arranged with all the game images displayed clearly for you to select without strain. The design team has also included a handy ‘Try It’ feature, which we believe other sites should try and learn a thing or two from this. It quickly ‘calls’ players to try the games even for free before playing for real money. Bronze is a mobile friendly casino site, which has been optimized for play on multiple devices. Accessing the site through the mobile platform has been made easy thanks to the fact that you only need to key in the official www.bronzecasino.com address on your browser and you are good to go. The site has been streamlined so that you can enjoy the same high quality features that you would on the main desktop site itself. All of the casino’s basic customer support contacts are easy to locate under the ‘Support’ button, which makes it easy for you to reach out to the support team whenever you have a problem. There are different channels through which you can reach out to the team including an email, telephone, live chat and FAQs section. We are sure you’ll like how detailed the FAQs section is and the manner in which they’ll handle your queries through the live chat or phone service. The company behind Bronze Casino uses only the best practices in the industry as far as online casino security and safety is concerned. For instance, the website has a standard firewall and uses the state of the art TSL protocols. It also has encrypted backups to prevent against unscheduled technical issues. If you look at the bottom of the page, you’ll also realize that it also offers games that are completely fair. 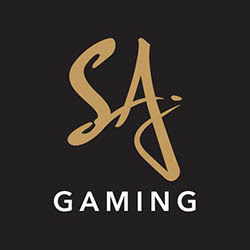 Bronze Casino is owned by Alpha Interactive Solutions N.V, a company that’s also tasked with the responsibility of running the day to day operations of the casino. It’s licensed by the Government of Curacao under License No. 1668/JAZ. Licensing is important to the player as it helps the player know that the platform has complied to all the required standards of operation by the casino. Here’s one area that boosts Bronze Casino’s reputation in the online casino industry. It has a nifty bonus and promotions package, which all players who are eligible to sign up at the casino can claim. To start you off, they’ll award you with what they refer to as ‘A SAVAGE TRIPLE WELCOME BONUS’, which constitutes of a €1000 welcome bonus + 80 free spins. 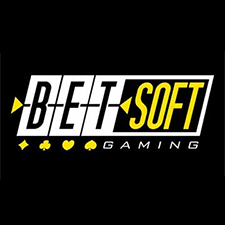 This bonus money can be used on all scratch cards and slot games by Felix Gaming, Fugaso, GS and Betsoft. 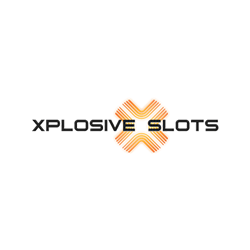 All the winnings resulting from the bonus money can be withdrawn after meeting the friendly wagering requirement of 30× the bonus cash plus deposit. Bronze Casino offers different ways through which you can deposit and withdraw funds. They include Skrill, Neteller, MasterCard, VISA, Bitcoin, ecoPayz, Entropay, iDEAL, GiroPay, POLi, TrustPay, WebMoney, AstroPay, ePay, Sofortuberwaisung and QIWI. When using all these options (besides Bitcoin), you can use some of the popular currencies used in the European market including the Euro, GBP and the USD. This makes it easy for you to choose a currency that you are comfortable using and avoid losing cash when exchanging the currency. Deposit and withdrawal limits vary depending on the VIP level but basically start from a low of €10 for deposits and €100 per week for withdrawals. The transaction time also varies depending on the payment method you choose. At the site, they say it will take up to 10 days (for debit and credit cards) and 1 day for eWallets. However, after trying out for both, it took an average of 3 business days and 10 hours for eWallets. There’s no loyalty program per say at Bronze Casino but they do have a well elaborate VIP program, through which you can benefit from a few perks. The VIP is divided into Bronze, Silver, Gold and Platinum Tiers. Immediately you sign up at the casino, you’ll automatically be registered under the Bronze Tier and you’ll get to climb up the ladder as you continue playing real money games. As you spend your cash, you get to earn points which you can redeem for different services at the casino. 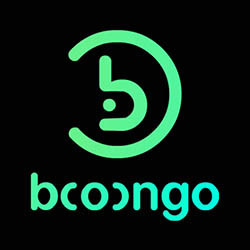 You can opt to use it to play the games or exchange for real money, which you can withdraw. As an international casino, Bronze Casino accepts players from different parts of the world. It therefore makes sense that it supports different languages. They include English, Italian, Russian, Swedish, French, Danish and Finish. Creating an account at Bronze Casino is easy and straightforward. While Bronze Casino is a relatively new online casino platform, it really impressed us with its offerings. When you look this platform at other reviewing sites, you’ll probably see that they ‘don’t recommend it’ but in all honesty, after trying it, we can’t help but recommend it to our readers. We feel that the live casino section has room for improvement though as it has a few games. 1I haven’t received a reply 48 hours after emailing Bronze Casino, what could be the problem? You need to ensure that you’ve listed Bronze Casino under the safe senders’ list section to receive all their emails. If not, check in your Spam Folder for all emails coming from the casino. 2Is it legal to play at Bronze Casino? The legality of playing at Bronze Casino all depends on the jurisdiction that you live in. Seek legal advice before starting to play at the casino to avoid unnecessary inconveniencies such as being not able to withdraw your winnings. 3Are the games fair, random and tested? After going through the terms and conditions, we read that the casino’s games are all tested and audited by the Gaming Laboratories International third party body. This means all the games’ results are fair and totally random. 4How is the outcome of the games generated? 5Can I chat with other players when seated at the live dealer tables? Of course you can. Just click on the ‘Chat’ button while playing in the private or multiplayer group tables, type in your message and press enter to send a message.